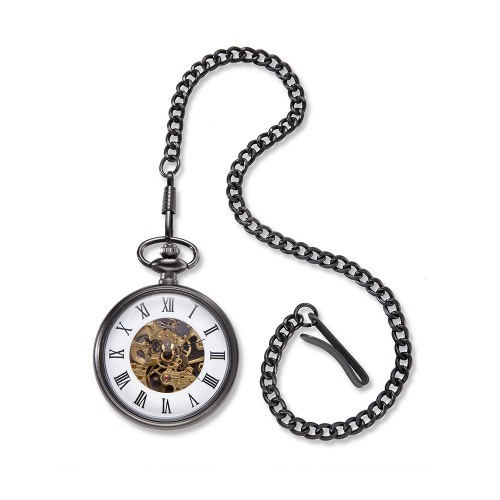 Your groomsmen will love this gunmetal exposed gears pocket watch. With a classic face, this pocket watch also features exposed inside gears and well as a sturdy chain and clip. Also makes a great keepsake for any special man in your life including fathers, brothers, husbands, and more.